Aaron Lecours is a 2d/3d animator trained in classical and digital animation. 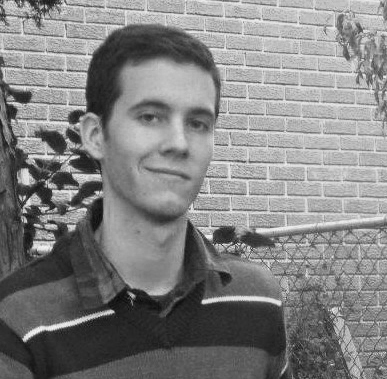 Aaron has used digital animation tools for over 6 years, and has received his diploma from Seneca College. He specialized in Character Animation, and has also trained in many aspects of animation, including: Layout, Character Design, Storyboarding, Life Drawing, Acting for Animation, 3d Modelling, 3D texturing and Compositing. After school Aaron has worked for 9 Story Entertainment as a Flash Animator on Daniel Tigers Neighbourhood for the last half of Season 1. Aaron has also worked freelance doing illustrations for companies, such as Re/Max and WineExpert. These illustrations can be viewed at www.LocallyToronto.com. Working closely with his clients, he always creates their ideal art-pieces. Aaron also took on the roll of Creative Director on a semester long After Effects short, which involved him looking over the animation, modelling, lighting and texturing departments and lending a big hand in compositing and sound effects.